Drawing from his grandmother’s homeopathic practices and teachings, Gabriel DeSantino, CEO and Founder of Gabriel Cosmetics, Inc. always believed that the sea embodies special healing and revitalizing properties. As a young child, Gabriel frequented his grandmother’s home near the coast of Mexico where he learned the significance of seaweed and kelp. As his curiosity heightened and his passion for healthy living and natural beauty developed, he knew it was his calling to bring these special properties to the forefront and become an advocate for all natural and organic beauty products. 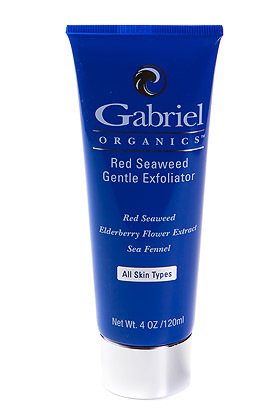 By carrying his grandmother’s wisdom for healthy alternatives as he began his beauty empire in 1992, Gabriel developed a vegan and gluten free skincare line, full of sea-derived ingredients called Gabriel Skincare. By using 100% natural ingredients including plant oils, extracts, and botanicals, his high-quality skincare products are non-allergenic and fragrance-free, consisting of a complete collection suited for every woman’s skincare needs. As Gabriel continued to make his mark on the organic beauty industry, he wanted to expand his brand to offer a wider variety of products to healthy beauty addicts. In 1995, he launched a cosmetics line, Gabriel Color and in 2001 Zuzu Luxe by Gabriel Cosmetics, which is also an all natural, vegan, and gluten free makeup collection. Gabriel later introduced Clean Kids Naturally to round out his all natural beauty collection, offering products to every age. Additionally, Gabriel Skincare evolved into what is now Gabriel Organics after receiving USDA/Organic certification in 2011. Through consistent research, product development and direct consumer interaction, Gabriel keeps his finger on the pulse of new healthy beauty developments and continues to be one of the leaders in beauty and wellness. 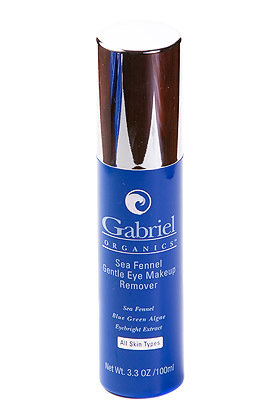 Gabriel Cosmetics, Inc. is a pioneer in the all natural beauty industry and is based in Seattle, Washington. The exfoliator is amazing! I struggle to find a facial wash that doesn't leave my skin feeling worse than before I used it. A lot of them dry out my skin or leave it feeling sticky, but not with this one. The texture is really nice and it doesn't take a lot to wash your entire face. I made sure my skin was damp, then massaged it into my face in little circular motions, focusing on my target areas (chin, nose, forehead). Then, I rinsed it off with warm water and my face instantly felt refreshed. I decided to not apply anything afterward and see how it felt in a few hours and I can admit that even after a few hours of playing with my kids my face still felt cleaner, lighter, and looked better! I often struggle with redness, especially in these cold Chicago winters, and adding this to my daily routine has helped reduce it greatly. It just takes 5-10 minutes and makes all the difference! Just as with the exfoliator, my experience with the eye makeup remover was wonderful. The remover is actually a spray bottle that you spray a little on a cotton ball and then just wipe/dab off the makeup from your eye. It quickly and easily remove the make-up without having to wipe hard and irritate the delicate skin. Also, the remover contains aloe vera which helps to alleviate your tired eyes and reduces puffiness. I found this product to be extremely quick and easy to use and gentle on my sensitive skin! Learn More: You can learn more about Gabriel Cosmetics and their fantastic product lines on their website. Buy: Gabriel Cosmetics are all available for purchase on their website! They offer Free Shipping for all U.S. orders over $50! Win: Enter below to win one of each of the products I reviewed above. A $44 value! Open to U.S. Residents Only. Be sure to check out all of the my open giveaways here! I like the moisturizer. I need some more I would like to try a new one. I like their Marine Anti-Aging Eye Cream! I would love to try their products. This one looks good: Normal to Combination Skincare Series. 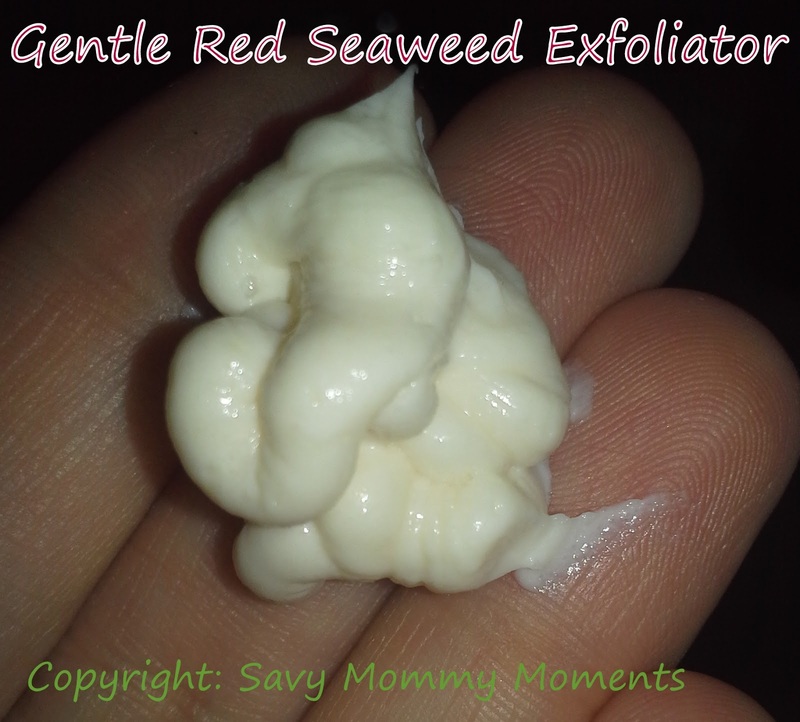 The Red Seaweed exfoliator looks like something I'd like to try! I have sensitive skin prone to dryness and flaking, and using products that aren't gentle and organic makes me break out. I've found cleansers that I like, but I'm still looking for that perfect exfoliator. I'm also a huge nail polish girl -- Gabriel's "Hibiscus" looks glorious! I would be interested in the Clean Kids kit. Yummy Greek Yogurt from Earth's Best! Exclusive goodgood box coupon codes! Lorex Technology Video Monitor Winner! Disney's Sofia the First CD Winners!